When he was a 19-year-old college student, Jose Llana got his first role on Broadway, as Lun Tha in Rogers and Hammerstein’s classic musical “The King and I.” Fast forward 21 years and Llana, 40, is portraying the King of Siam — the lead role that he also played on Broadway in recent years — in a touring production of the show that is coming to Boston April 11 for a two-week run. 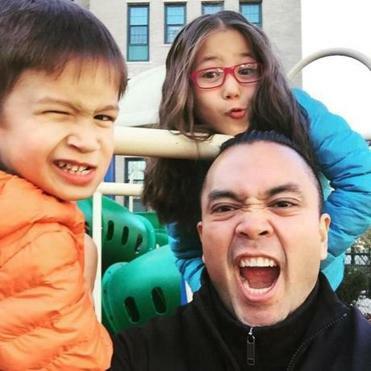 Llana was born in Manila, moved with his family to Springfield, Va., when he was 3 years old, and now lives in New York City with his fiance, Erik Rose, a real estate developer. “It’s a real honor to have this show bookend my career,” Llana said of the Tony Award-winning musical. He is looking forward to performing in Boston — in large part because he will get to spend more time than usual with his sister, brother-in-law, and their kids, his godchildren — when he is in town. “They are my everything,” he said of his niece and nephew, who live in Winchester. We caught up with Llana to talk about all things travel. Two answers: My fiance and I love London. It was our first vacation together 11 years ago and it has the perfect mix of theater, food, and sights. But whenever I have a free week, I always head to Winchester. I will never turn down oysters, steak, or wine. I have yet to set foot in Italy. Most of my family and friends have, including my fiance. I’m saving it for a big multi-city trip someday. I want to eat and drink my way through the country from north to south. My iPad, iPhone, and headphones for my music – and my Kindle. Aisle. I don’t have to bother anyone when I want to get up to use the restroom or just walk around. There’s also more headroom, which I’m much more sensitive to with my man bun these days. I was very fortunate to travel internationally quite frequently as a child because of my mother’s work. We visited the Philippines every two years and would stop in a country on the way there and on the way back every time. It helped nurture my love of airports. I love the energy of them and the sight of people from different countries all mingled together. Some of the most exciting days of my childhood were travel days between countries and continents. I’m a sucker for fries, chips, and crisps from different places, paired with a cold white wine, of course. Don’t not go to a museum because you think you don’t have enough time. One or two hours in any museum will always be worth it. And drink lots of bottled water, always.